Everyone’s weight varies throughout the day. Weighing frequently throughout the day will document your weight fluctuation but probably drive you batty in the process. If it’s upsetting to you to find weight fluctuations of any type every day then avoid weighing yourself more than weekly. Adding stress just triggers a weight increase due to cortisol being released. A person should strive to maintain a lifelong, consistent healthy weight. Fluctuation in large amounts throughout your life—that lose-gain-lose-gain cycle so many of us battle, the so-called “yo-yo dieting”—can tax the cardiovascular system, set the stage for diabetes, slow metabolism, and make it increasingly more difficult to lose weight. As if that’s not enough, it can permanently stretch skin out of shape (yes, permanently), which worsens as you age, says Health.com. Exercise cannot bring it back once it reaches that stage. “The expansion and contraction of the skin is what plays havoc,” Alan Matarasso, MD, clinical professor of surgery at the Hofstra/Northwell School of Medicine (N.Y.) told Health.com. Inside your body, weight fluctuation increases your chances of a heart attack. In fact, many medical doctors advise patients who have had cardiac surgery to report any daily weight fluctuation of two pounds or more immediately. “For every 1.5- to two-pound change in weight fluctuation, the risk of any coronary or cardiovascular event was increased by 4 percent, and the risk of death by 9 percent,” explains Sripal Bangalore, MD, an interventional cardiologist with the NYU Langone Medical Center in New York City, on TheCardiologyAdvisor.com. People normally experience weight fluctuation throughout the course of a day. That change can be as large as four or five pounds, mainly due to fluids and salts. (Read some weight-loss forums, however, says Livestrong.com, and you may hear about weight fluctuation up to 10 pounds; if you’re experiencing that you should seek help from a doctor.) Most of us weigh the least amount in the morning, after we void, and the most at the end of the day, especially if we eat a big, late dinner. 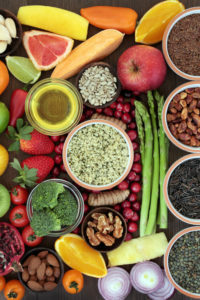 “Since most of us can’t eat enough in a day or two to actually gain five or 10 pounds, if you notice a dramatic increase on the scale, chances are it’s due to water,” says Anita Petruzzelli, M.D., doctor for BodyLogicMD, in an article in Shape. “Eating, drinking, urinating, having a bowel movement, and exercise can all impact your body’s water composition and therefore weight,” she says. True weight gain or loss takes time. “In the summer, body weight can go up by several pounds due to increased body water. This is accomplished through fluid-conserving hormones such as aldosterone, which allows the kidney to retain more fluid and reduces the amount of salt in sweat, a measure that also aids in water retention. The increase and stabilization of total body water can only be accomplished by continuing to exercise in hot weather and will not occur in people who spend most of their time indoors in air-conditioned environments,” explains John Castellani, a researcher in the Thermal & Mountain Medicine Division of the U.S. Army’s Research Institute of Environmental Medicine on ScientificAmerican.com. Even medical procedures can have a side effect of weight fluctuation. The FDA reports that over the course of 12 years, 936 cases of weight fluctuation reported due to the Essure (a surgically placed sterilization device). 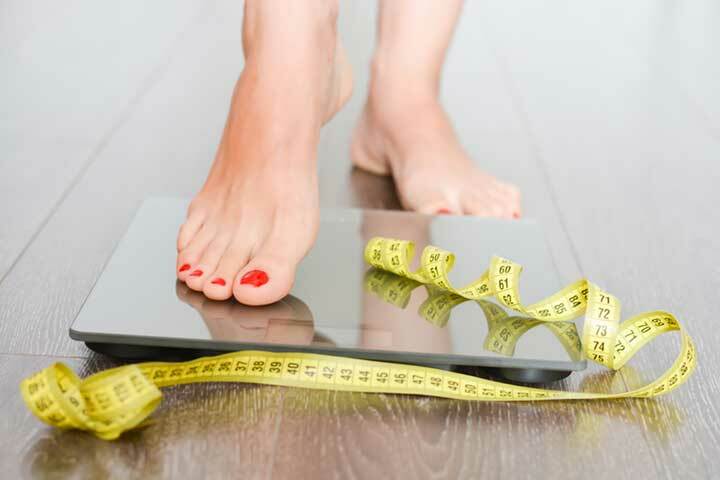 Most studies reveal that a daily weigh-in is the way to go to maintain your weight, as it seems to produce the best results, cautioning that the person should choose the same time of day every day to do the weigh-in and, this is important, weigh yourself when you’re naked. Clothing and shoes can vary in weight, so it’s best to eliminate them. That said, if it’s upsetting to you to find weight fluctuations of any type every day then avoid weighing yourself more than weekly. Adding stress just triggers a weight increase due to cortisol being released. The only trick will be staying motivated to stick to your diet and fitness routines. Don’t want to use a scale at all? a heart attack, apple cider vinegar, bowel movement, calories, cardiac surgery, cardiovascular, cardiovascular system, constipation, coronary, cortisol, dehydration, diabetes, diet, exercise, fitness, food, green tea, green tea for weight loss, health, healthy weight, heart attack, how to lose weight, how to lose weight while sleeping, intermittent fasting, Lose Weight, low carb diet, metabolism, protein, report, skin, stress, water retention, weather, weight fluctuation, weight gain. While I was on my slimming program (simple weight loss system), I was checking my weight few times a day. Sometimes results were frustrating but I think it was helpful for me.